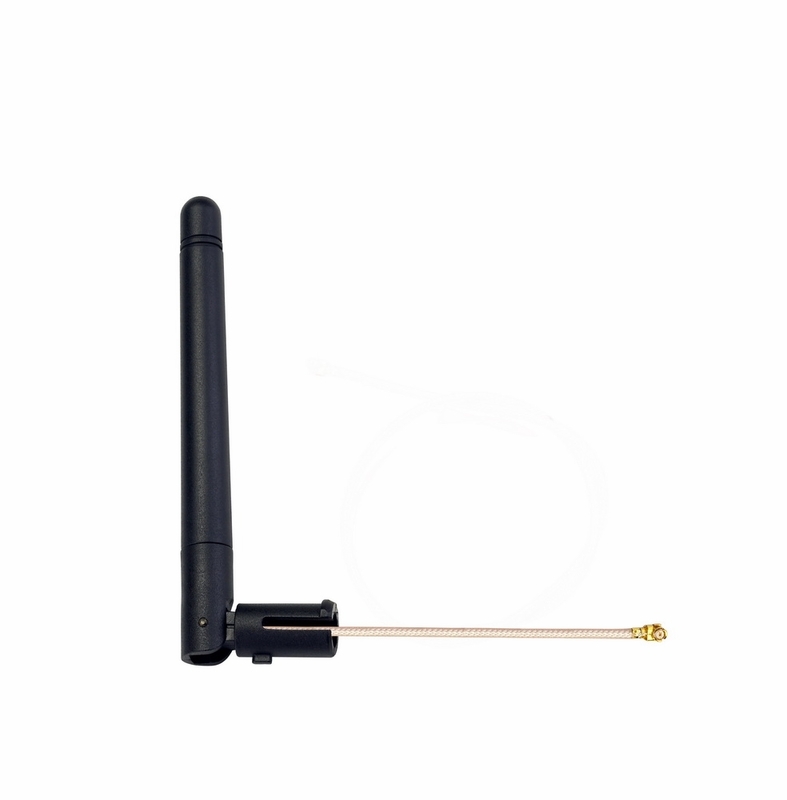 The GW.17 Click�in Terminal Antenna is a high performance robust 2.4GHz dipole antenna designed for quick assembly onto finished products. The specially designed click in plastic head greatly reduces the assembly time and cost compared with most terminal antennas with connector. The standard product comes with 250mm low loss RG-178 cable and IPEX MHFI (U.FL) connector. Having the cable and IPEX connector coming out directly from the housing eliminates the need for a separate costly cable assembly and bulky mating connector on the device.